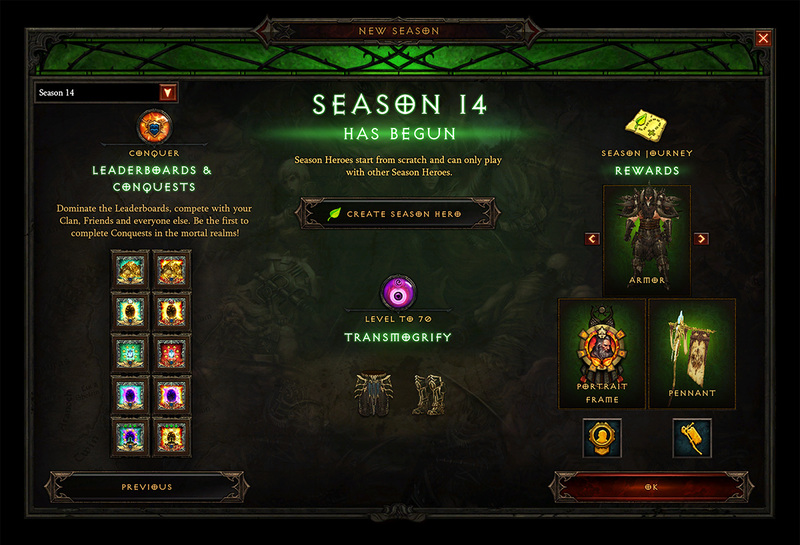 Season 14 begins Friday, June 15 at 5:00 p.m. PDT/CEST/KST. 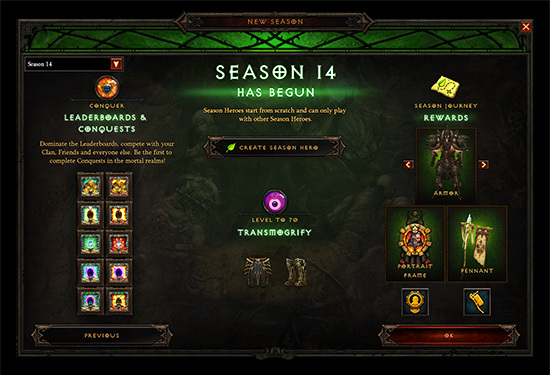 Diablo's upcoming Season is dubbed "The Season of Greed", because all Treasure Goblin spawns will be doubled fo the whole duration of the Season. 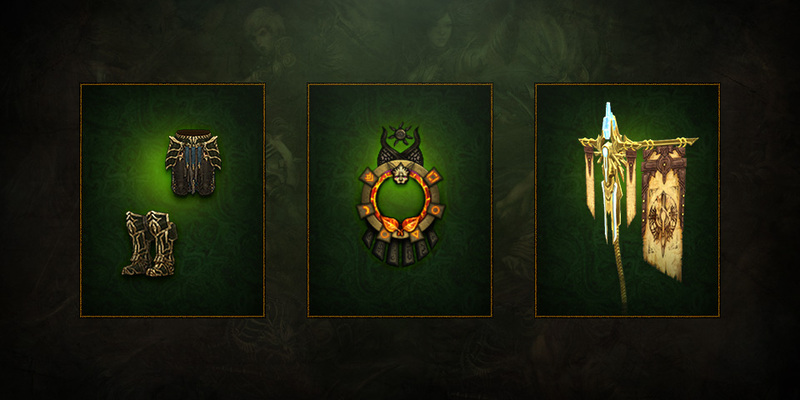 We can expect more themes in future Seasons, but for now, here's a first look at new cosmetics, Haedrig's Gift sets and Conquests for Season 14. Need help? 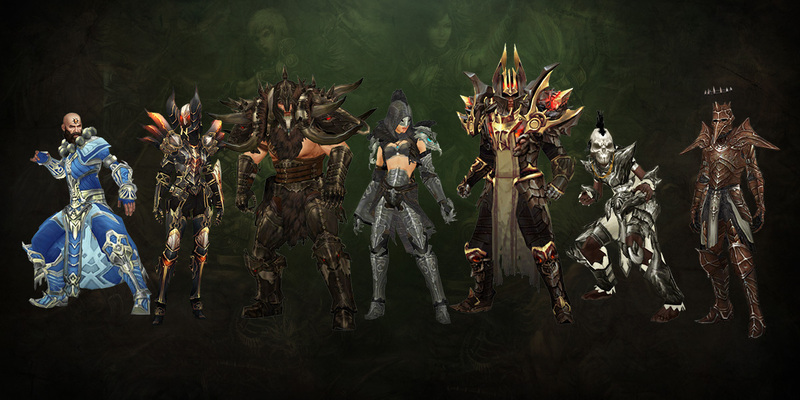 Head over to our Diablo 3 Guide Section and check out our Class guides! 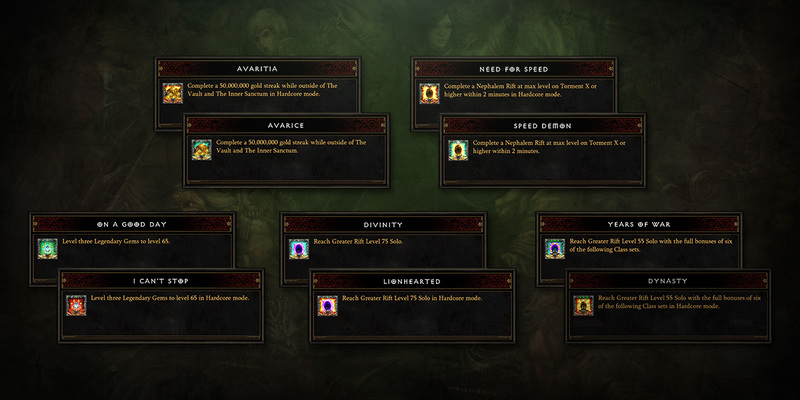 Ergh, double goblins - hard to catch at low levels when there is just one, when there is 2 it's impossible. Also, even at higher levels with better gear if they go opposite directions that can be a pain too. I actually like this idea, though they could have released this concept by season 5 to be honest. Woooow. So it will be the same as the other seasons. Darn, no pet this season. The only thing that keeps me playing seasons are the pets.